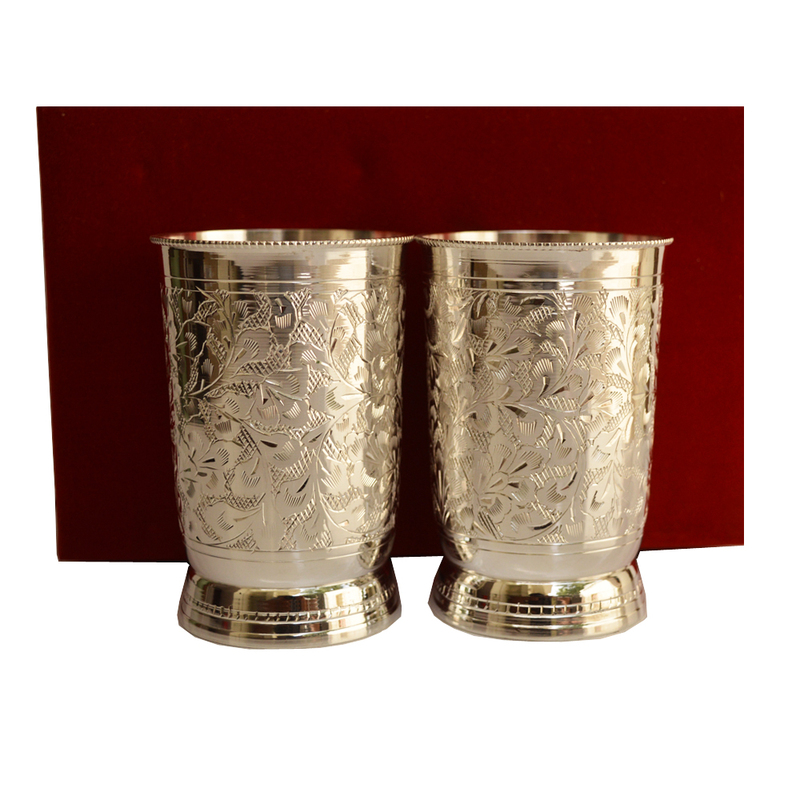 The Ornate German Silver Glass Set ornate serves as a fine specimen of ethnic design work, with the intricacy of pattern work present on its Read More..body rivaling its fine finish to make it a piece to behold and possess. In fact, this pair of glasses can easily blend with the most sophisticated of surroundings, and is ideal for the most refined of households. Moreover, the ethnic design form makes the glasses the ideal choice for adding a dash of traditional splendor into the most lavish of home decors. Show Less..